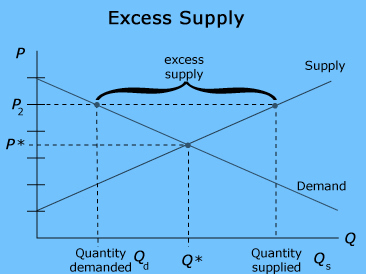 Obama’s economic theory appears to be a hodgepodge of both supply-side and demand-side theory based primarily on a belief that if the government rewards special interest groups who vote for the chief executive’s political party, then said party will get re-elected. In other words, Obamanomics is nothing more than a selfish power play. Missing from its objectives are the goals of economic growth and wealth creation. Inherent in its objective is the idea that there is already enough wealth in the nation to divide many times over until everyone is on an equal playing field. Once met, this objective will lead to the end of all economic activity in the United States. Obamanomics is a theory that works best if the employees of an automaker are its only customers. It also works well if unionized school teachers are the only taxpayers within their respective school districts. In other words, Obamanomics works if the same money earned by an entity’s employees is reinvested in full back into the same entity. If giving incentives to employees is better than giving them to employers, then Obamanomics has nailed it. One can only wonder why those gosh darned employees aren’t hiring more workers. For example, the Obamanomics version of auto industry bailouts was made with the assumption that if the government helped automakers, then they would produce more and better quality cars which someone would buy, thus returning the industry to profitability. What the theory failed to consider was that the reason American automakers were facing bankruptcy was due to the lack of demand, not supply. It wasn’t that U.S. automakers weren’t producing enough, or the right cars, it was that no one was buying them. And why did the demand for automobiles suddenly come to a screeching halt? There’s a lot of talk these days about the decline in housing prices, but what does that really mean at a personal level? What are its effects on the economy as a whole? I’ll tell you how I feel about it. Every waking day, I feel as though I’m mortgaged to the hilt, which is, through no fault of my own, a fact. It’s not a good feeling knowing that it will take many, many years, if ever, for the value of my home to return anywhere close to the amount I owe. What this does to me psychologically is make me not want to spend a dime on anything other than bare necessities. Everything is basically on hold until my personal debt-to-equity ratio returns to a healthy level. This spills over into decisions I make for the business. ‘If it ain’t broke, don’t fix it.’ That means purchasing a new vehicle, new equipment, new appliances, or for that matter anything related to the house is out of the question. Wants are out of the question; needs are the priority. They say, “Cheer up, live a little, go out and spend some money and don’t worry about it so much.” I say, ‘Mind your own blanking business.’ For me, until this situation is corrected I will continue to live below my means, and if you mess with me, you do so at your own risk. Meanwhile, the U.S. government continues to spend us all into oblivion, thus assuring that if I ever do get my head above water again, the government will be there to make sure I drown. What politicians don’t realize is that none of their spending has done anything to improve the personal debt-to-equity ratio of any American, but has rather destroyed that of the entire nation. As politicians from both major parties stare hopelessly into the abyss on a daily basis, none of them seem to have a clue as to how to fix the real problem. Some politicians have become so discouraged that they have resorted to exhibitionism, while others have convinced themselves that the way back is through incurring more debt. It doesn’t get any more delusional than, “We have to spend more to keep from going broke.” While many have chosen the path of insanity, that’s not the way for me. Let’s face facts, when the amount of ones debt exceeds a healthy level (a debt-to-equity ratio of 0.5 to 1.5 being deemed healthy) there are only two ways out. (A) Reduce all unnecessary expenditures to a bare minimum applying the savings toward debt reduction. (B) File for bankruptcy and make a fresh start. Some have chosen the latter, while I choose the former. Others don’t own a home and thus have no idea what I’m even writing about, which is the dilemma of most politicians. Most politicians don’t feel as though they own the national debt, and they plan on being long gone before any tough decisions have to be made. However, most of them will find themselves long gone by November of next year, if a serious effort isn’t undertaken soon. It doesn’t take three years to solve America’s most pressing problem. I made my decision as soon as the crisis hit. There are only two options: A or B. No. Increasing income taxes on an upside down citizenry, increasing the amount of government regulations upon them, and imposing new health insurance mandates will not solve the real problem. It’s time to fix the problem of this era. It’s time to pass a budget. It’s time to pay down the national debt. It’s time to reduce the size of government. It’s time to end excessive government regulation. It’s time to overthrow an unconstitutional government mandate. It’s time to make a decision, or get out of Dodge.